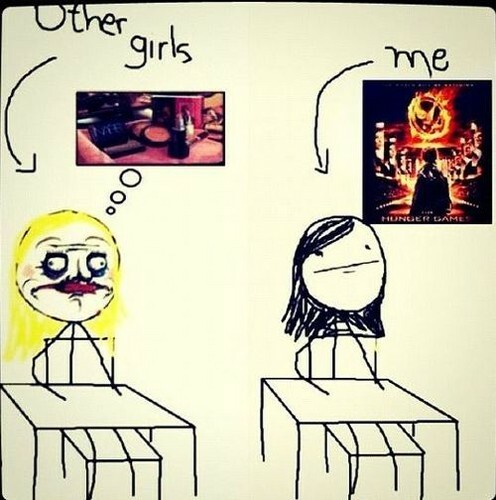 Other girls... AND ME!!!. I`m HUNGER GAME`s 팬. Wallpaper and background images in the Peeta Mellark club tagged: hunger games. This Peeta Mellark photo contains 애니메이션, 만화, and 만화책. NOTHING I´M JUST LOSING MY TIME! jaja but i admit it was funny.